THE DISCOVERY OF INSULIN, C-PEPTIDE AND PROINSULlN, SPECIES DIFFERENCES Crude insulin was extracted and isolated from dog pancreases removed 7-1 Degrees weeks after ligation of the pancreatic duct for the first time in 1921 by Banting and Best. Its lifesaving properties were subsequently documented in pancreatectomized dogs in 1922. Only about six months elapsed from its discovery until systematic collection of calf and ox pancreases and, later, porcine pancreases was established and the blood glucose lowering effect in diabetics using the crude extract from these glands proven. 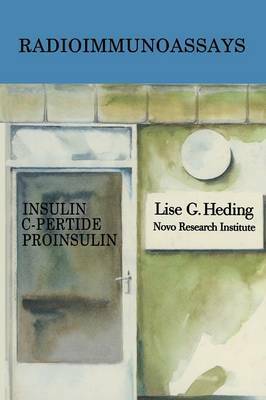 It was not until 1960, however, that the primary structure of all three species of insulin, lO7 human, porcine and bovine, was elucidated . It then became evident that the differences between bovine, porcine and human insulin amounted to at mosl 3 amino acids. These apparently small differences have a significant impact on the physico-chemical characteristics of the three insulins which again affect, e.g., the rate of absorption of insulin lO9 preparations from the subcutaneous tissue and their immunogenicity, i.e.